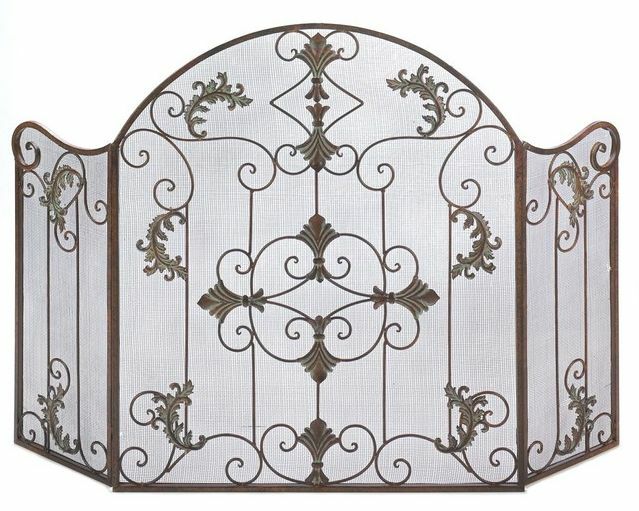 A warm, rustic finish and ornate scroll work give this metal screen the look of a timeless Italian treasure, graciously keeping stray sparks and fireplace embers at bay. A handsome enhancement for any decor! Actual color of the product may vary. 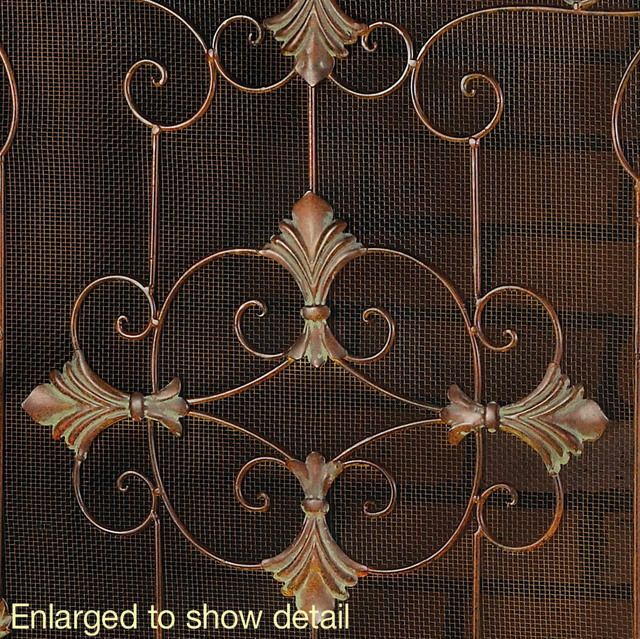 Center panel: 27 3/8" x 31 1/2" high; each side panel is 10 1/2" x 23 1/4" high. Dimensions: 27.4" x 10.5" x 31.5"